Online peer mentorship program for kids 7 to 15 years old. It is free, interactive, and has been life-changing! Don’t miss out and register for the next session. The sessions take place over the internet, using safe and secure online meeting tools. They are led by older peer mentors with food allergies, under the guidance of a youth program coordinator. Once registered, your child will be placed into a group on a day/time convenient for your family. We have received outstanding feedback on our previous sessions and are excited to continually grow the program by adding more mentors and participant spaces. Watch the video below to learn about the impact this program makes! The next session will take place for eight weeks starting May 4, 2019. 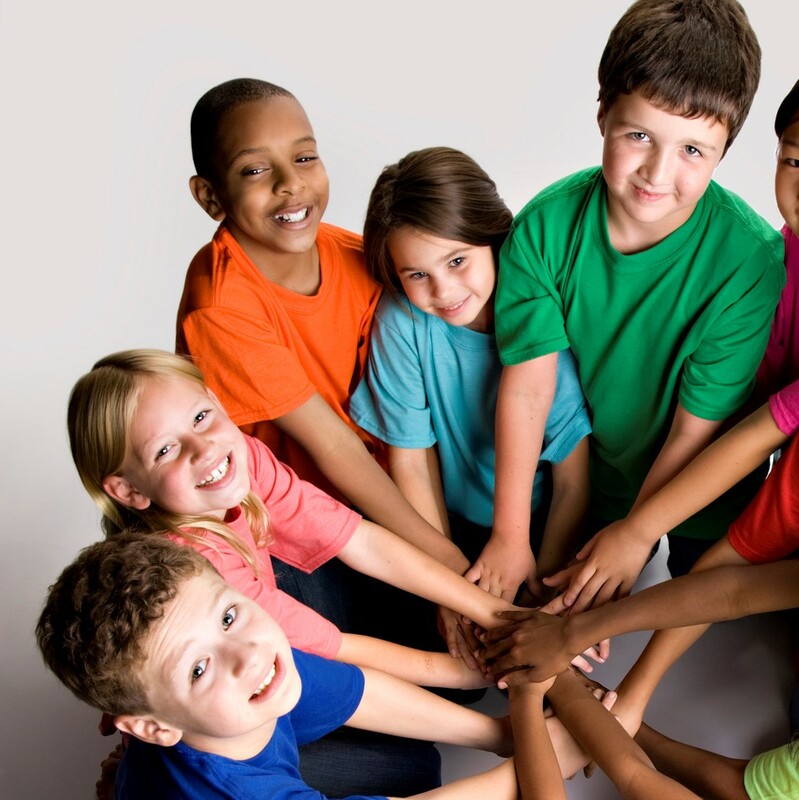 Allergy Pals and Allergy Allies have ongoing sessions throughout the year. Please sign up for our Allergy Alerts to receive registration updates for future sessions. 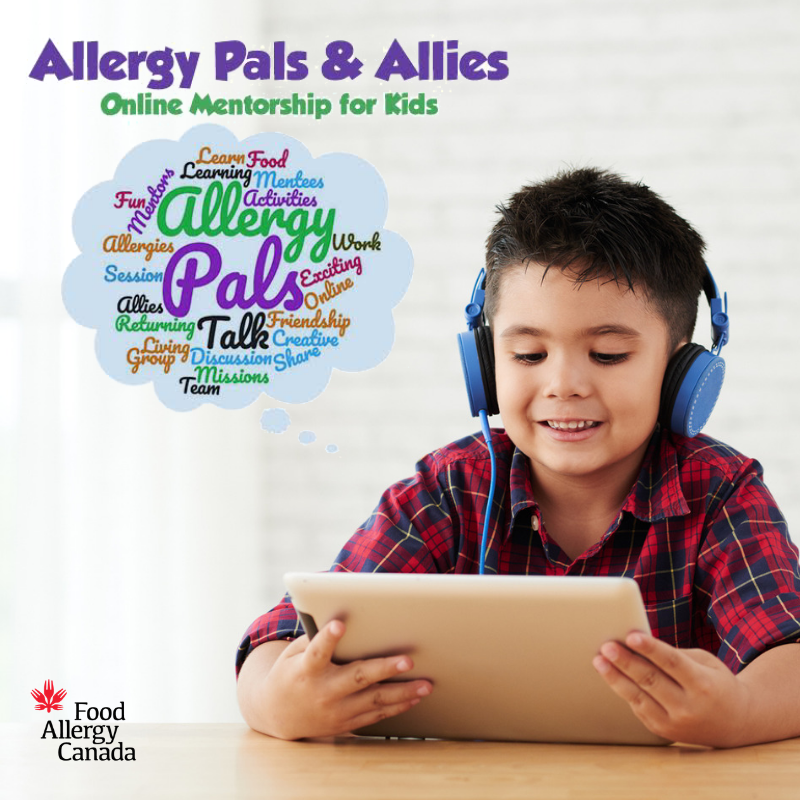 Your donation to Food Allergy Canada helps keep programs like Allergy Pals and Allergy Allies available. Please donate online here. 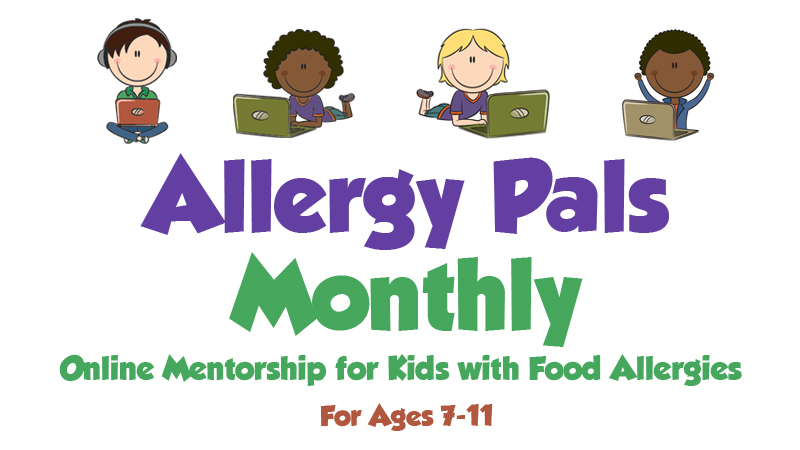 We have launched bi-monthly webinars just for kids as a part of our Allergy Pals program. Every other month, kids with food allergies that are between the ages of 7-11 can participate in webinars that will cover key educational information on managing food allergies.